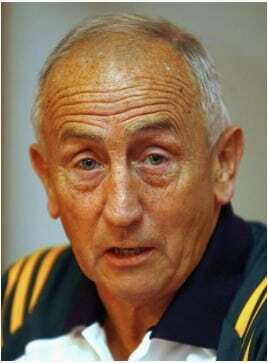 Seán Boylan is one of Ireland’s most distinguished and iconic sporting legends. Acclaimed for his success at the helm of Meath G.A.A. Senior Football for 23 years, he navigated his team to four All-Ireland Final wins, three National Football League titles and eight Leinster Senior Football Championships. His pioneering methods led him to coach the Irish side for the 2006 International Rules Series, and to victory in the 2008 series in Australia. Not content to hang up his boots, he continues to play key roles at pitch-side, underage and development levels with the DCU Sigerson Cup Team and Meath G.A.A. In many ways, like his father before him, Seán is a living link between the old and the new Ireland. His father was a member of the Irish Republican Army during the War of Independence, and a General in the Free State Army. Learning from his father, Seán is a fifth generation traditional herbalist, practicing an Irish tradition that can be traced back to the tenth century on the island of Skellig Michael. As a respected practitioner who believes in the benefits of both traditional and conventional medicine, he has spoken for the World Health Organisation – one of the first non-medics to do so. As a survivor of prostate cancer, he has been a source of hope and inspiration for others by speaking openly about his cancer experience. His unswerving focus, sincerity and charisma mark him as a uniquely-gifted speaker. Seán is held in extremely high regard on the GAA scene and skilled in the area of team management and sportsmanship.